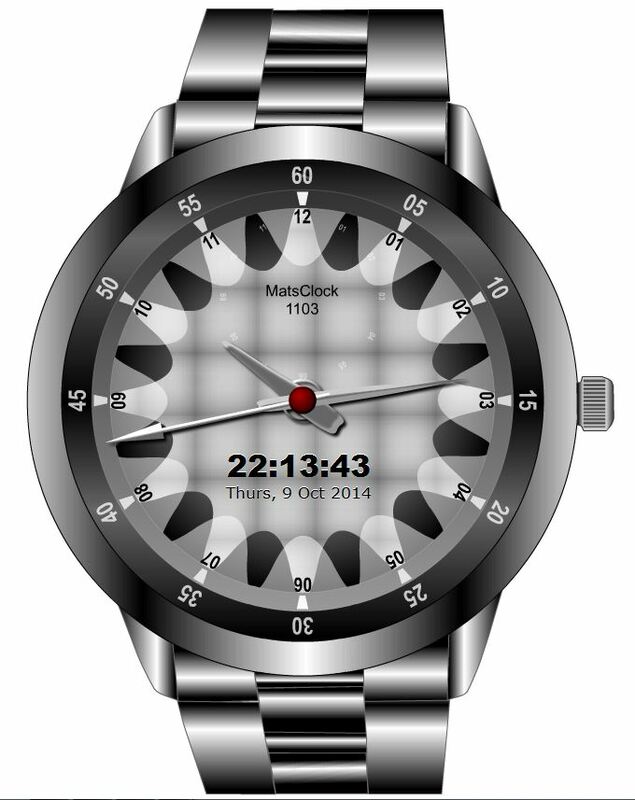 MatsClock-1103 is actually a Designer Wrist Watch. I designed this wrist watch in many colors till I finally settled for the steel graphite grey color to mimic platinum metal. The MatsClock 1102 Designer Wrist watch can actually show you the local time which you see in the main dial with large hour and minutes needles. MatsClock 1103 is a beautiful platinum wrist watch that I would like to wear if it was real. I saw a simple graphite wrist watch the other day which prompted me to design a nice original grey designer limited edition free flash wrist watch design. I gave the wrist watch a beautiful sun dial with some checkered background. Everythings gells well into the wrist watch dial very smoothly to give a truely amazing effect. I wish this was a real designer wrist watch that I could wear. If embedded into a website, I am sure it will increase your website search engine optimization seo value as your website visitors are likely to spend more time just staring at this beautiful designer wrist watch for at least a minute more than that they would otherwise spend on your website. Displaying this wrist watch in a powerpoint presentation will elevate your status and your presentation becomes real professional.